It has been said before, and often, that anthologies are difficult and prone to error, and even if they do their job right they can still leave their readers dissatisfied, yearning for more. Anthologising Europe, in any shape or form, is always a formidable challenge. 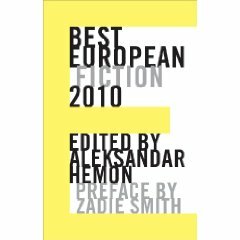 Dalkey Archive Press have initiated a timely and ambitious effort to try and collect the continent’s best fiction, edited by Bosnian writer Aleksandar Hemon, translate it and present it to an international, mainly American readership.